This Campground will be open from June 17 - October17 2011. To read about this closing, click here. Lyman Lake State Park is located on a 1500 acre lake with its own beach. Water is collected from the Little Colorado River which begins in the White Mountains and travels all the way to the Colorado River in the Grand Canyon. 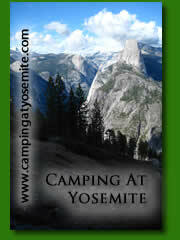 Group camping may not be surpassed at lyman lake with 3 group areas that are unbelievable. Group Building-1,128 sq. ft., fully enclosed building with two restrooms, a storage room, folding tables and chairs, indoor/outdoor lighting, electrical outlets, water, cement patio w/large barbecue grill, picnic tables, heater, evaporative cooler, fire pit, boat ramp, and fishing cove. Tent camping sites and eleven full hookup sites with water, sewer, and electric are also available for overnight camping. The area is fenced off from the rest of the park. 1,089 sq. ft. picnic ramada located in the day use area, large central barbecue pit/grill, picnic tables, electric outlets, lights, water spigots, horseshoe pits, volleyball court, and a restroom and store are close-by. 289 sq. ft. picnic ramada located near water, close-by store, 2-3 picnic tables, barbecue grill, fire ring, volleyball court access, and nearby restrooms. From Springerville travel north 18 miles on U.S. 191/180 to lake entrance.